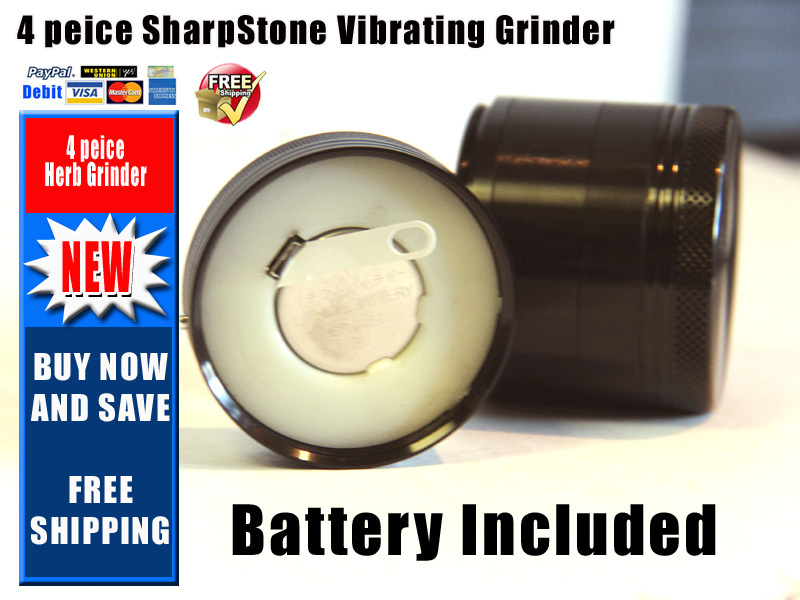 Sharpstone 4 piece Vibrating Herb Grinder Discounts Apply ! 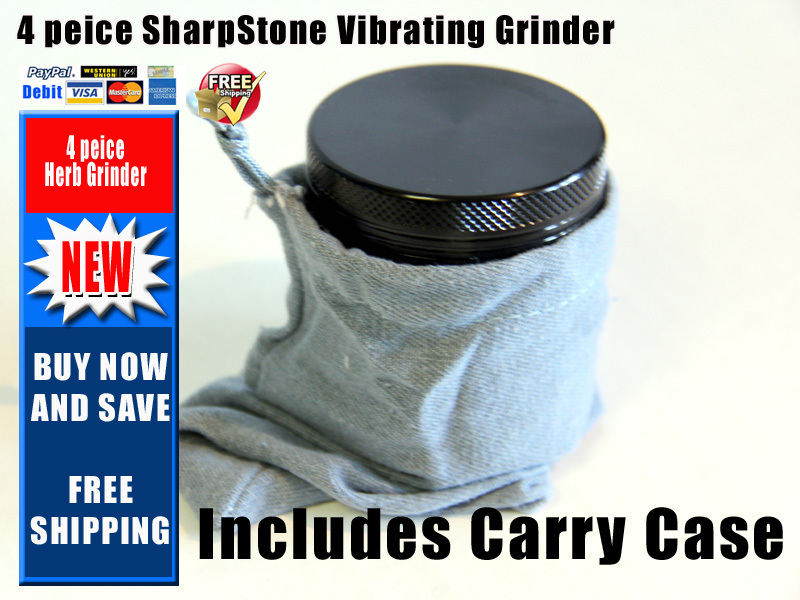 One of the highest quality herb grinders on the market! 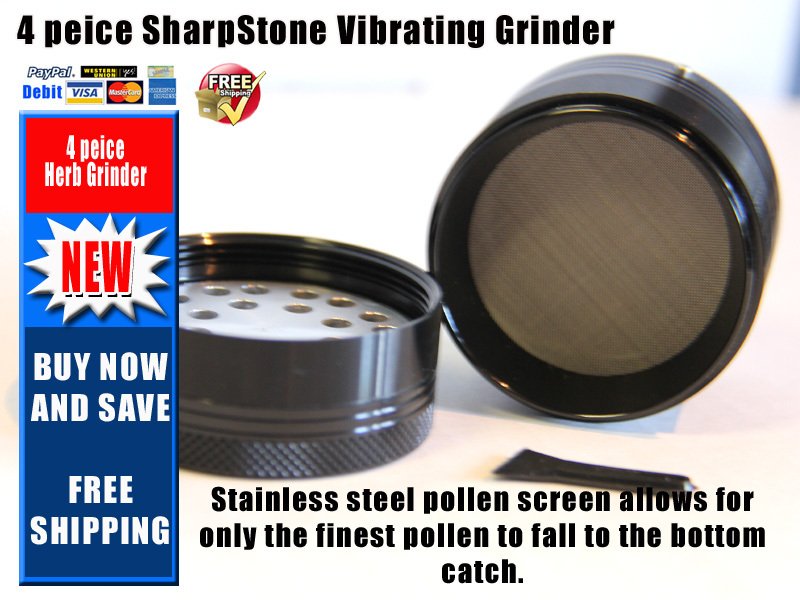 Built in Vibrating Mechanism helps Automatically Sift Pollen! 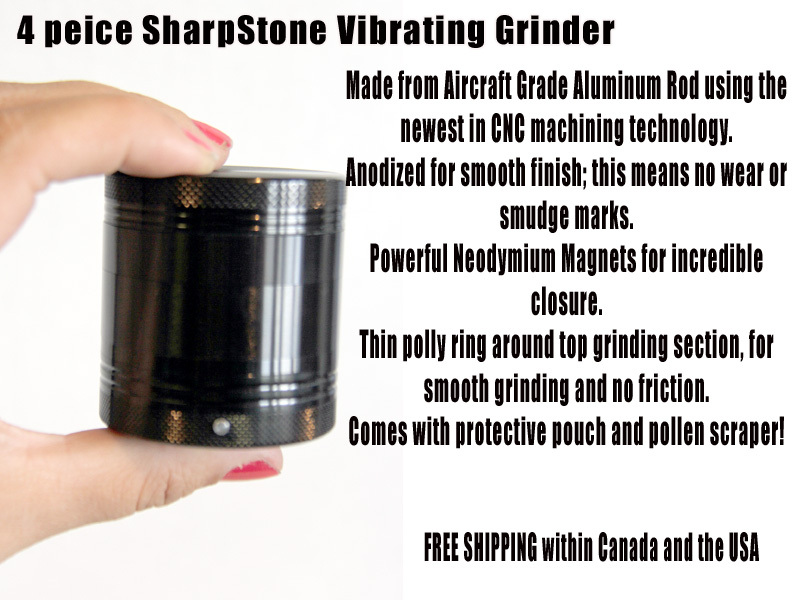 Made from Aircraft Grade Aluminum. 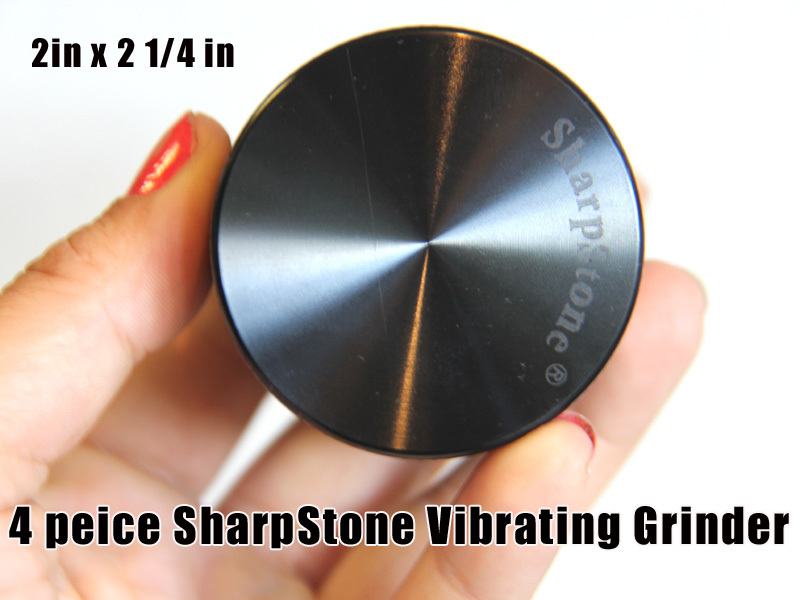 Produced on Precision CNC machinery for an amazing fit and almost zero flaw rate! 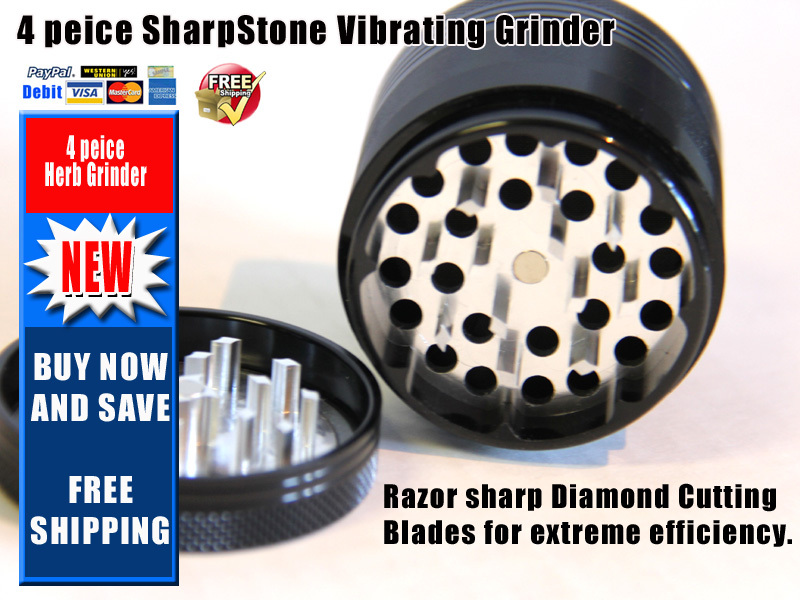 Razor Sharp Teeth shred herbs & spices with Maximum Efficiency. 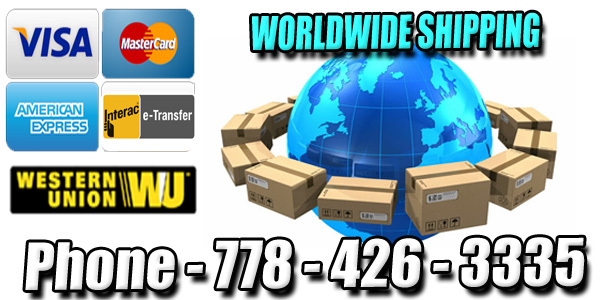 2 High Strength Neodymium Magnets help keep it Air Tight. 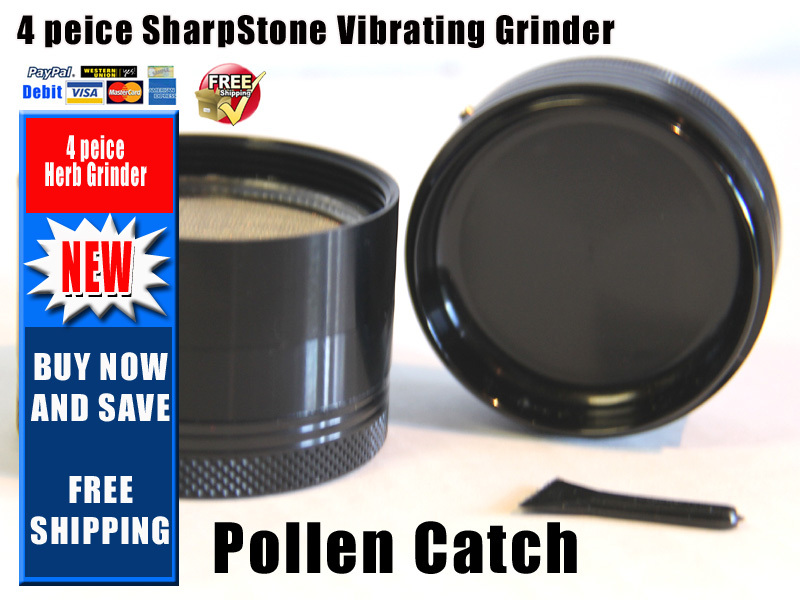 Pollen Scraper & Cloth Carrying Pouch Included!